1. God created the sky and the earth. At first, 2. the earth was completely empty. There was nothing on the earth. Darkness covered the ocean, and God's Spirit moved(a) over the water. 3. Then God said, 'Let there be light!' And light began to shine. (b) 4. He saw the light, and he knew that it was good. Then he separated the light from darkness. (a) The Hebrew word means 'to fly over' or 'to swoop down,' like a bird flying over its nest to protect its babies. (b) 1:1-3 Or 'In the beginning, God created the heavens and the earth. While (2) the earth had no special shape, and darkness covered the ocean, and God's Spirit hovered over the water, (3) God said, 'Let there be light,' and there was light.' Or 'When God began to create the sky and the earth, 2) while the earth was completely empty, and darkness covered the ocean, and a powerful wind blew over the water, (3) God said, 'Let there be light,' and there was light. As you can see, this is a very readable text. I like that it has simple footnotes and in this instance, offers several translations. I also like that the Bible has pictures, even though my children would likely prefer more of them. I also noticed that with the New Perspective on Paul/Pistis Christou matter, this version offers both renderings with the traditional translation in the main text and the NPP translation in a footnote (see Rom 3:22). 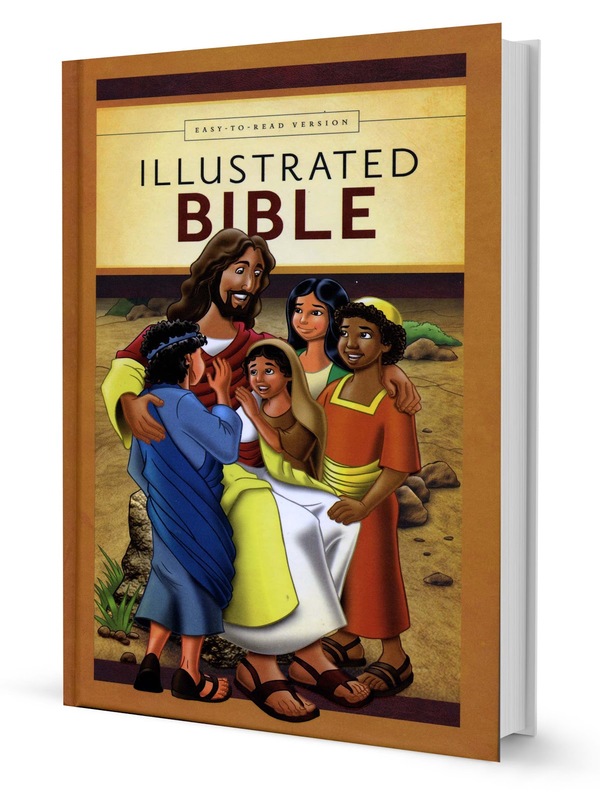 The Bible League website describes the ERV Illustrated Bible as follows, "Easy-to-Read Illustrated Bible gives families and churches a way to introduce God's Word in a simple and enjoyable form that will help anyone understand the plan God has for their lives. The everyday style and colorful illustrations will open up the meaning of God's Word even for those who are not familiar with the Bible. 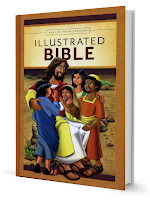 Forty-two full color illustrations and large print." I think in my house, we will begin reading through this version as a family. From my initial observations, I would recommend this to families, young children/youth, and those just learning to read English. Thanks to Daniel Rodriguez for sending me this copy. Click HERE to pick up your copy today.